Síle is head of international campaigns and policy, leading our current campaigns which include AllTrials, a global campaign for the registration and reporting of all clinical trials and Ask for Evidence, a public campaign to help people request for themselves the evidence behind news stories, marketing claims and policies. Síle was one of the original founders of the AllTrials campaign, alongside Ben Goldacre, growing it from a simple petition to a high profile, worldwide campaign. In 2016 she gave the keynote speech at TEDxMadrid, “The Hidden side of Clinical Trials”. Síle previously worked on the Libel Reform campaign which called for reform of the libel laws to protect open scientific discussion. The groundswell of support for the campaign led to the passing of the Defamation Act 2013 that changed the law in England and Wales. In the policy arena, Síle works closely with our director Tracey, to promote transparency in government processes. She also oversees the organisation’s EU office, which calls for EU citizens, researchers and the European parliament to scrutinise and share evidence behind European policymaking. Most recently, Sense about Science organised public-led events in Westminster, the Oireachtas in Dublin and the European parliament, to remind elected officials that evidence matters to the public. A sought-after chair, panellist and engaging public speaker, Síle has appeared on RTÉ and the Today programme, as well as writing for the Guardian among other publications. Síle is passionate about science communication and spends a lot of time helping researchers, regulators, policymakers, companies and NGOs to talk about science and evidence openly, humanly and without stigma and intimidation. She founded the Dublin office of Sense about Science in 2016 and recently launched Voice of Young Science in Ireland, a unique and network of early career researchers committed to playing an active role in public discussions about science. 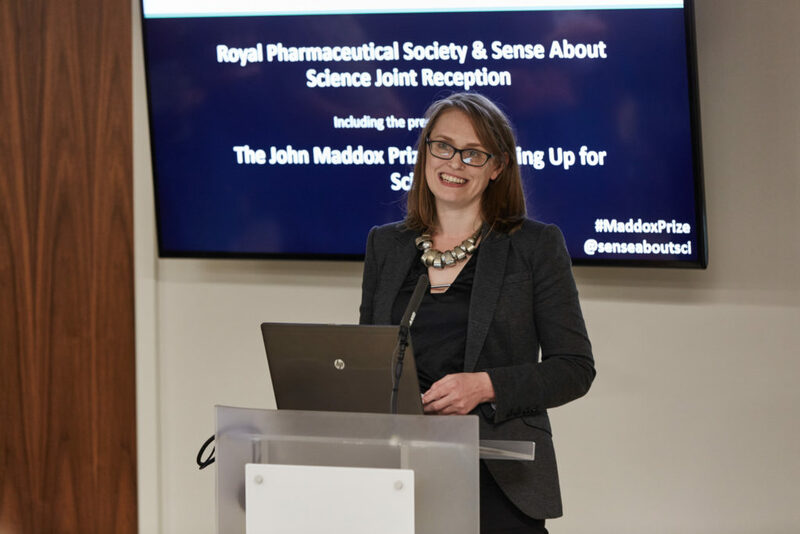 Prior to joining Sense about Science in 2009, Síle was a post-doctoral researcher at Imperial College London working on stem cells and regenerative medicine.